Children who suffered varying degrees of disability due to polio often underwent treatment at the New Zealand School of Physiotherapy. The small girl in the standing walking frame in this photograph is Beverly Hopkins (née Jones). Beverly contracted polio at the age of 8 years which resulted in permanent paralysis of her left leg. Following her discharge from hospital, Beverly went to a convalescent home in the Dunedin suburb of Kew for several months. Her orthopedic surgeon at the time, Mr Waldron Fitzgerald, assured Beverly’s mother that she was ‘tough and would pull through’. Beverly is now into her seventies, proving the prediction true. She still suffers from the residual effects of polio. 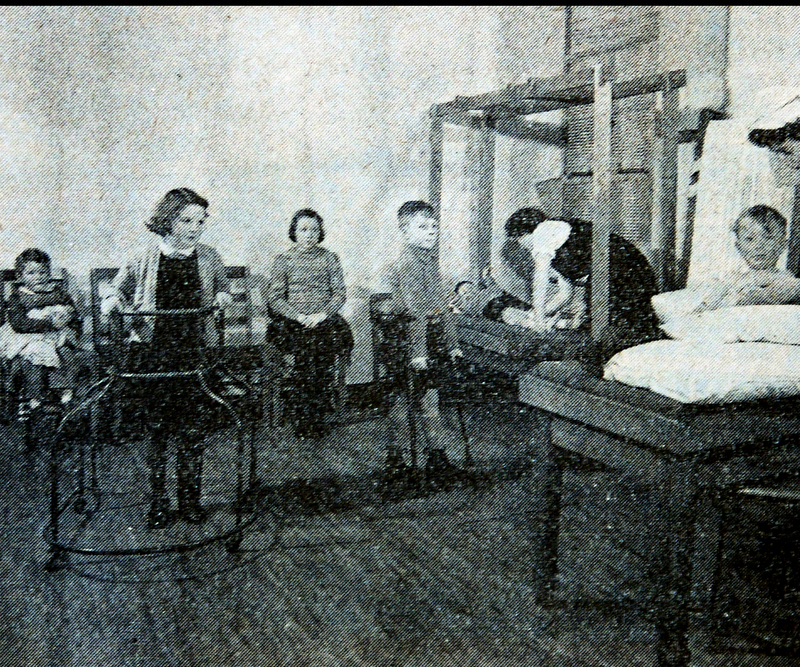 Otago Daily Times, “Children's Room in the New Zealand School of Physiotherapy, Dunedin,” ourheritage.ac.nz | OUR Heritage, accessed April 26, 2019, http://ourheritage.ac.nz/items/show/7974.